Season’s greetings loyal readers! In case you missed them the first time around, here are some of our most popular Nokia blogs from 2015. We’re very happy to see that readership continues to grow steadily – and together, we determine what’s hot and what’s not. One of the best compliments for any blog channel is visitor loyalty (returning readers), with almost half of you tuning in regularly. In fact, our blog page is one of the most popular places to hang out on Nokia.com. We’re proud to contribute to the industry conversation with a wide range of Nokia’s experts, innovators and executives sharing their thoughts on topics that help shape the network business. 5G, advances in LTE and Wi-Fi technology, as well as innovating with partners were also among the topics to grab your attention. We do our best to cut through the hype and keep things real by drawing on operator examples and sharing important milestones and roadmaps. So, on behalf of our Nokia Network’s bloggers, thank you for your interest this year. We will continue to stay topical, taking cues from you and the industry’s latest news and views. 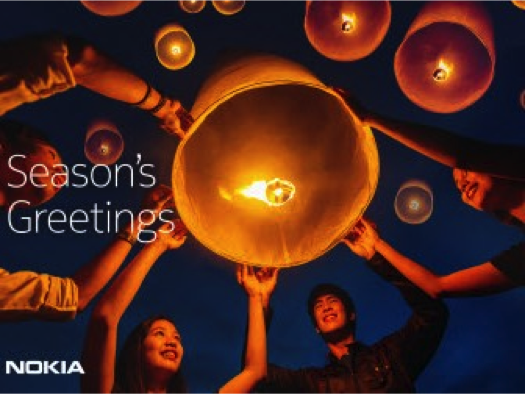 The whole Nokia team sends you Season’s Greetings and we warmly welcome you back to this space in 2016.